When you're involved in a car accident, it can be difficult to think clearly or effectively in the immediate aftermath. Anything you say can be used by others, even your insurance company, against you. Allow our team to guide you through the maze of negotiating the system and filing a claim after the accident. The firm of McGilberry & Shirer has successfully represented many automobile accident victims and helped them receive fair settlements of their injury insurance claims. Steven McGilberry, Bill Shirer and Lancaster Smith are not the stereotypical personal injury lawyers you may think. When you hire the firm, you are hiring them, not just their staff. The attorneys will travel to meet new clients which means you do not have to come into the office. You will meet with Steven, Bill or Lank, not a "runner" or case manager. When you call them on the phone, you will speak to them directly. When they work on your case, they work on it personally. 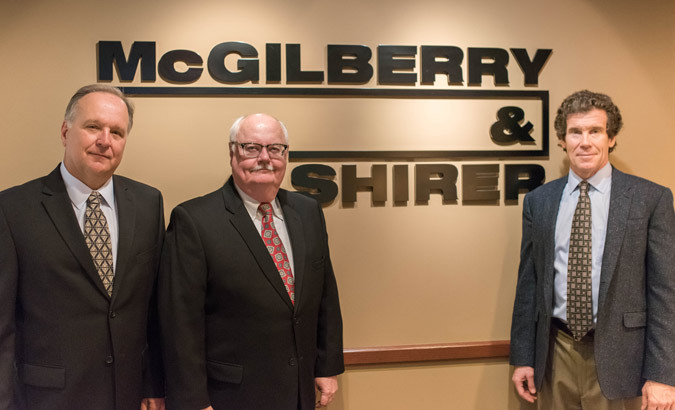 With over 90 years of combined experience in personal injury law, the attorneys at McGilberry & Shirer work hard to advocate for you. If you are involved in an accident, call McGilberry & Shirer, no matter the time your call will be patched through directly. Steven McGilberry is the managing partner of McGilberry & Shirer, LLP. The firm's practice areas include vehicular accidents (such as car accidents, truck accidents, bike and motorcycle accidents), as well as premises liability cases and dog bite cases. Steven is a native Texan, who received his Doctor of Jurisprudence from the University of Houston Law Center in just two years, and his Bachelor of Arts and Sciences with Honors from the University of Texas at Austin. As a Dallas lawyer with over 35 years of experience helping clients receive fair settlements for injuries, Steven knows how hard it can be to put your life back together after a traumatic auto accident or work place injury. Steven McGilberry works hard to make the legal side of recovery as painless as possible for his clients. 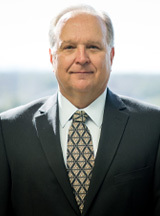 Steven has been practicing accident injury law since 1978 and is a member of the American Bar Association, the Dallas and Texas Trial Lawyers Associations and the Association of Trial Lawyers of America. To speak with attorney Steven McGilberry about your auto accident or insurance injury claim, please contact McGillberry & Shirer today. Even if we do not end up handling your accident injury case, we would be happy to answer your questions and offer referrals. 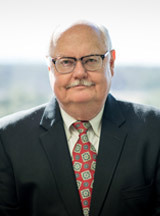 Lancaster Smith, Jr. has been Board Certified in Civil Trial Advocacy by the National Board of Trial Advocacy for over 25 years and was Board Certified in Personal Injury Trial Law by the Texas Board of Legal Specialization for 25 years. He had been licensed in the State of Texas since 1979 and licensed in the State of Colorado since 1999. He is admitted to practice in all State Courts in Texas and Colorado as well as U.S. District Court for the North District of Texas, U.S. Court of Appeals for the 5th and 11th Circuit, U.S. Tax Court and U.S. Supreme Court. He received his Bachelor's of Arts Degree from the University of Notre Dame and his Doctor of Jurisprudence from South Texas College of Law. Mr. Smith's areas of practice experience include civil litigation and general trial practices, personal injury trial law and civil trial law. He has also lectured to various judge organizations, bar associations and law school students in the areas of alternate dispute resolution with emphasis in mediation. He has also served as an advanced credentialed mediator.